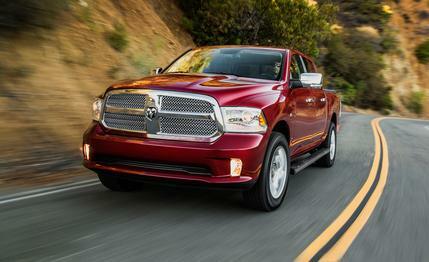 Today, Consumer Reports announced that they will be crowning the Ram 1500 EcoDiesel as the Truck of the Year, beating out both Ford and Chevrolet’s full-size models. According to the esteemed magazine, the Ram’s V-6 Diesel engine was far superior because it saved substantially more fuel than other models and did much better during road tests, as well. During testing, the EcoDiesel averaged 20 miles per gallon in overall testing (Chevy only gets 16; the Ford F-150 gets 15) and an astonishing 27 miles per gallon on the highway. This announcement is a huge victory for Dodge. Consumer Reports is currently the most respected source of vehicle reviews because the magazine works independently and receives zero influence from companies during the decision making process. In fact, the magazine buys all of their tested trucks randomly from local dealerships, meaning that manufacturers cannot prepare or send a particularly great model in to be tested. 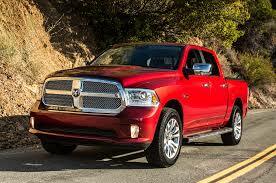 The Ram 1500, of course, was released earlier this year and was the first half-ton diesel truck in more than 25 years. And because of all that, it is also now the Truck of the Year. This entry was posted in Culture and tagged consumer reports, Diesel, ram 1500 ecodiesel, truck of the year. Bookmark the permalink. Nice to see a manufacturer offering a small diesel. Unfortunately it comes in at $4500 additional. That will take a long time to pay off with fuel savings, especially when diesel fuel is more expensive.